Breathtaking products at affordable prices. 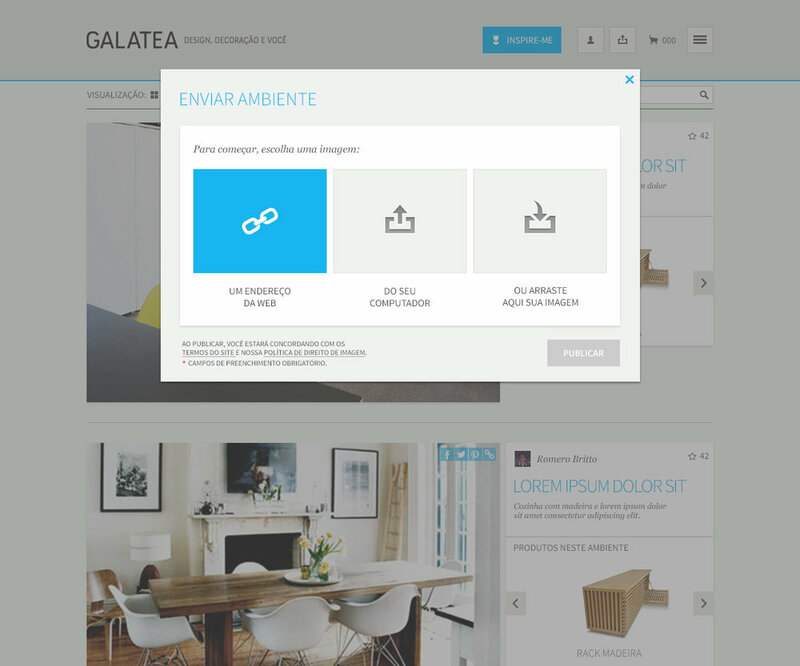 Based in Regensburg, Germany and operating in Brazil, Galatea wants to simplify things, working directly with the makers to offer high-end furniture, lighting and accessories at a fair price. In 2013, the startup founder called me with a challenge: to join them as a Product Designer to establish the brand guidelines and design system for the platform, combining a great user experience and a strong visual design. Working remotely since the beginning, we were able to overcome the distance and have a great time together, working hard to solve many different user needs, improve the overall experience and to design and launch new site features. The Inspire-me page is a moodboard with lots of lovely ambients using Galatea products. 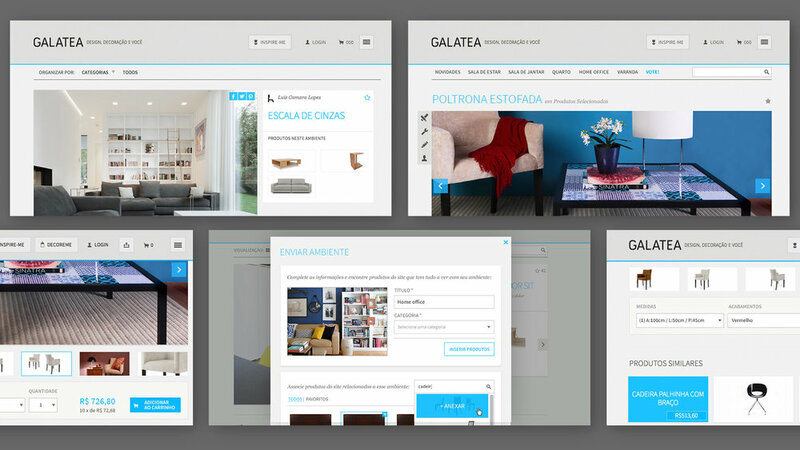 If they have an space that match any products from the site, they can submit their ideas so the community can find inspiration from real people using Galatea products into their homes. And if the user likes the products, they can add it to their cart right there and continue exploring without leaving the page.